We’ve been friends and colleagues with San Francisco art gallery Addison Fine Arts for quite some time now, so when they asked us to design their new business cards we couldn’t wait to get started. We chose to use letterpress on the back and a “blind embossed” logo on the front to reflect the classic beauty of the gallery. We’re thrilled with the results and can’t wait to work with them again! 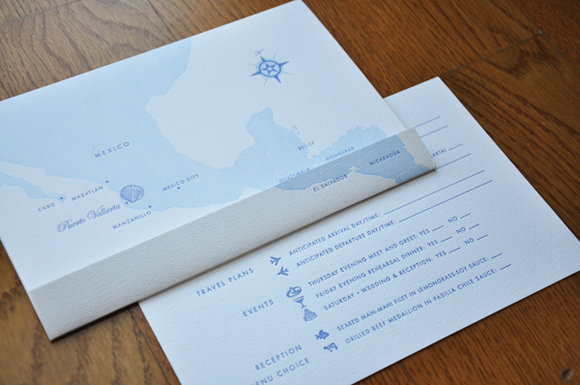 When planning a wedding in Turks and Caicos, only a fabulous planner like Sofia Crokos will do – and we had to make sure the invitations were no less fabulous. 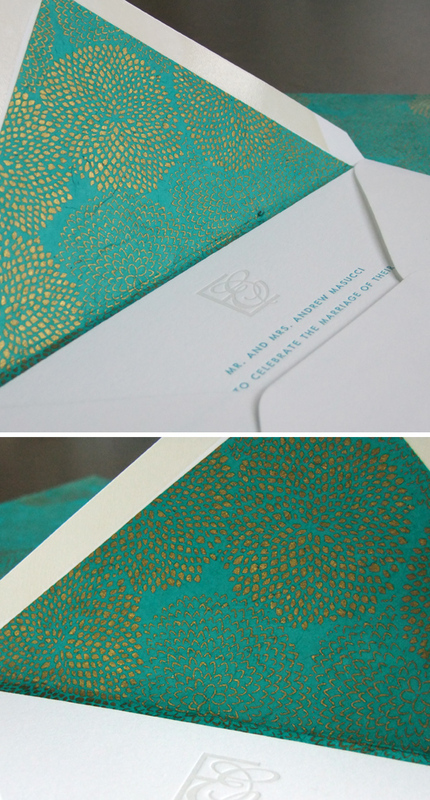 Inspired by the waters of the Caribbean, we chose an intricate turquoise and metallic gold on paper from Nepal. And the fun “E” logo? 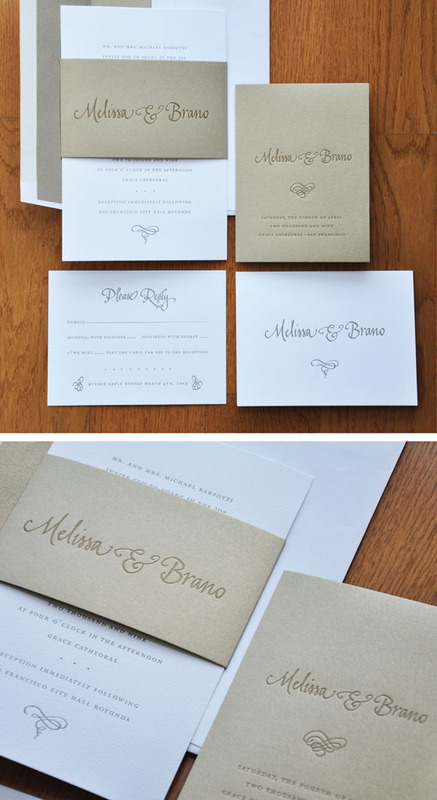 To match the bride and groom’s first names, which both start with an “E”! When our bride and her event planner – the incomparable Stacy McCain – said they wanted to create a soft, gentle feel for the invitations, we decided that a muted palette weaved with botanicals would be perfect. We especially love the trifold program! We loved designing these pieces with our bride and her event planner, the wonderful Laurie Arons! We used a playful palette of pink, bright white, and chocolate brown to create these spicy and sweet invitations. 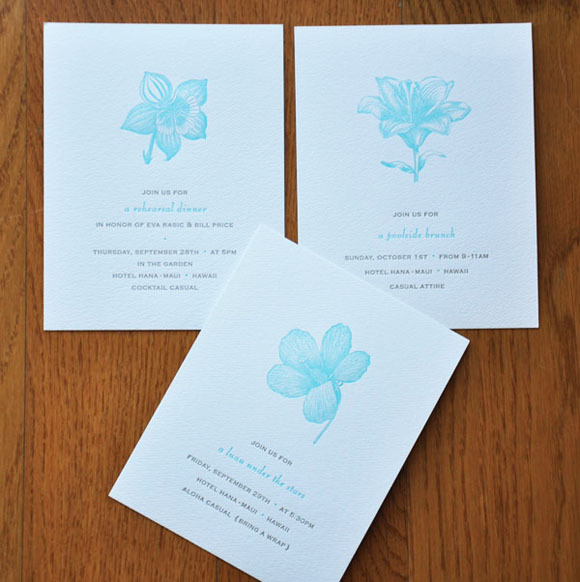 Lovely Hawaiian flowers printed in letterpress and an unexpected turquoise ink. Aloha. 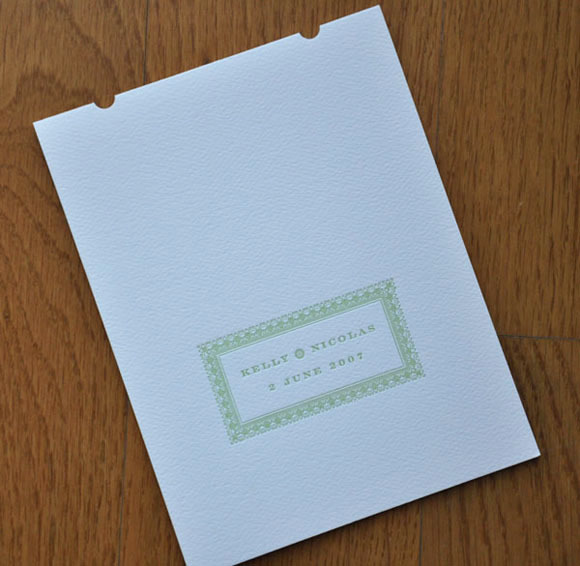 For a wedding in Paris …. 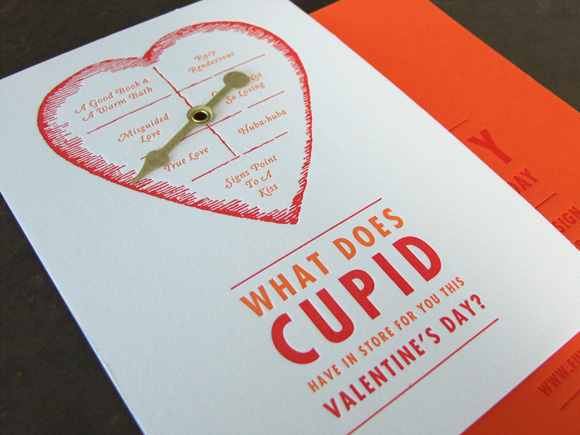 Check out our annual Valentine piece for 2013. Feel the love from A Day in May and Full Circle Press! A modern take on our Foliage style within our Signature Collection. 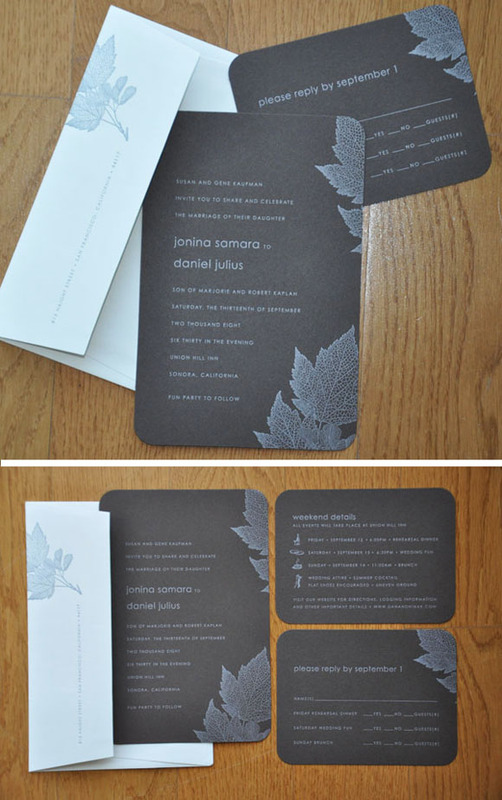 This invitation was letterpressed on a rich chocolate brown paper stock with silver metallic ink. 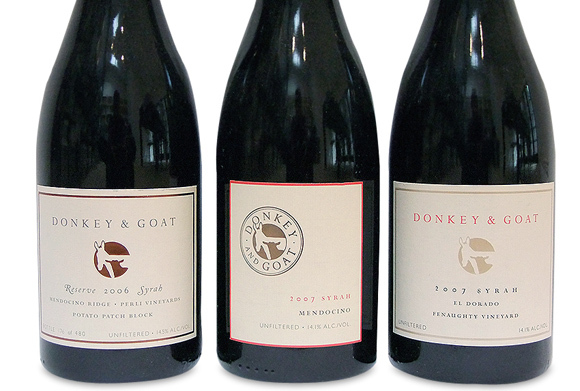 We are so proud of our wine label design on the Donkey & Goat brand and we love watching this company grow in new and exciting directions. Order up some D&G wine and throw a wine tasting party this holiday season! It is impossible to go wrong with this color combo. 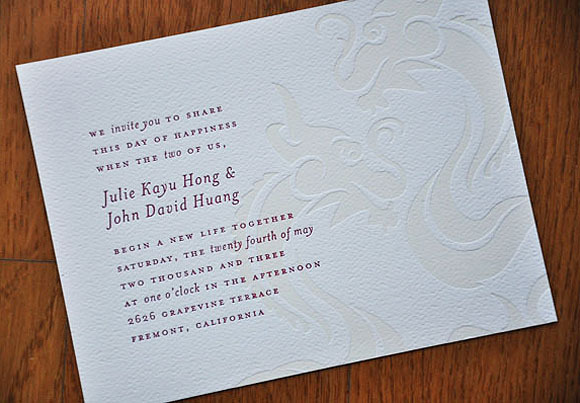 A couple that were both born in the year of the dragon celebrate that bond on their wedding invitation. A sample invitation from our Signature Collection which combines masterful calligraphy from Barbara Callow, letterpress printing, gorgeous felt papers and of course top-notch design. 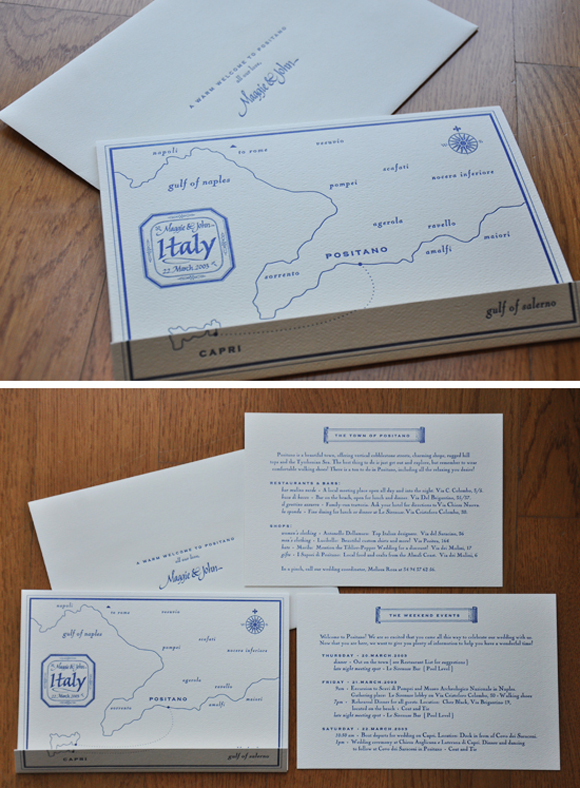 We created this 40th birthday party invitation years ago and it has always remained one of our favorites. 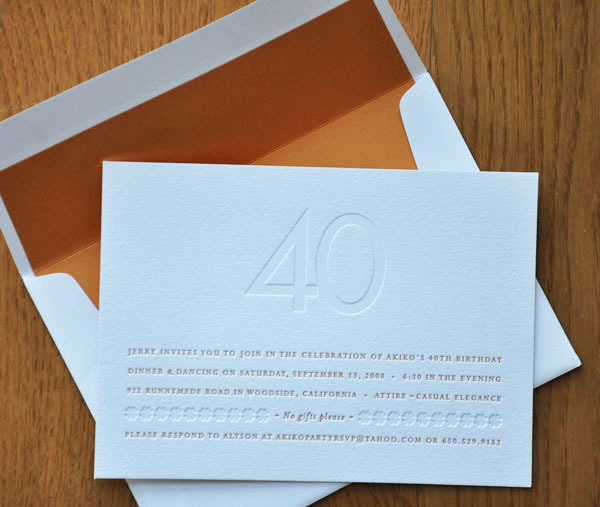 There is just something about the clean, modern “40” typeface printed in a blind hit (no ink on the letterpress), the fun orange envelope liner, the edgy typography running along the bottom of the invitation and the wonderfully playful icons. It has stood the test of time in our book. We needed a folder (where we conveniently printed a cool map of Mexico) to house all the fun invitations for this Mexican wedding weekend. We loved the final result of this wedding suite. We wove together a very accessible, warm look with vintage looking vines, an antiquated French typeface, hand-written calligraphy, and wonderful farm illustrations. 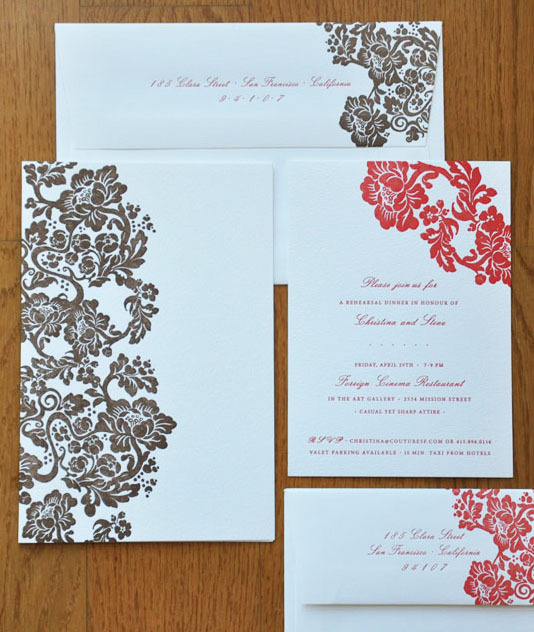 Pair these printed pieces with a view of the Hudson River and voila you have one gorgeous wedding! 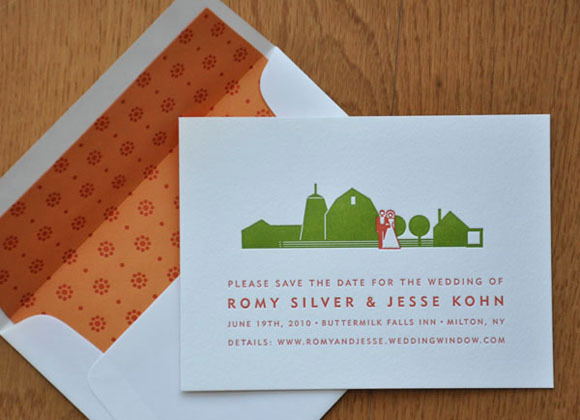 Check out this save the date that was not only bright and beautiful, but also choc full of information! And FYI, we worked with the lovely Laurie Arons, Event Planner in San Francisco, on this particular piece. We always LOVE those collaborations!